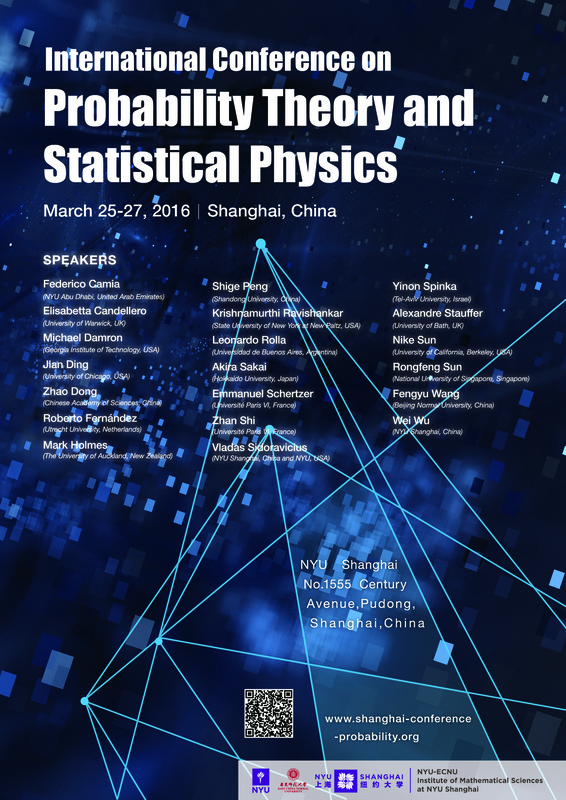 The 2016 International Conference on Probability Theory and Statistical Physics focuses on those rapidly developing areas of Probability Theory that arise from, or have potential applications to, such fields as Statistical Physics and Theoretical Computer Science. In recent years these areas have been distinguished by a number of international awards such as Fields Medals to Wendelin Werner and Stanislav Smirnov and an Abel Prize to S.R.S. Varadhan. The objective of this conference is to bring together a critical mass of international and domestic experts to discuss current research and future directions in the overlapping areas of Probability Theory and Mathematical Statistical Physics.